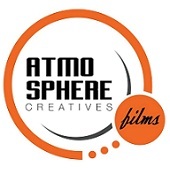 At Atmosphere Creatives, we believe art and stories were made for each other. We have long been Agents of the Arts. In college, we took to the fine arts – paintings, illustrations, the most traditional of the visual media. We wrote songs, made music, and eventually, as we formed a band, rendered the inexpressible visible by producing music videos. Combine that with over a decade of experience working as creatives in giant media companies like VIVA and ABS-CBN, and you have a team whose expertise is in telling stories that is a feast for the eyes and the soul. We believe that the best stories should tug at heartstrings; make you laugh, cry, and then laugh again. Because really, isn’t that how your story is? At Atmosphere Creatives, we don’t just document your wedding day; we make sure that every second of film captures the story of your love. We recognize that your wedding day marks the beginning of a new chapter in your lives, and you would want to look back years from now, and remember just how magical it had been. So, what’s your story? Share it with us, and we’ll make sure to take your story to great heights. Taking your stories to new heights.